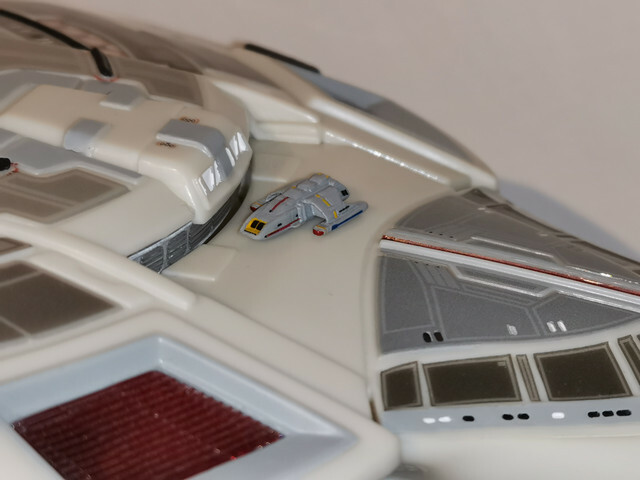 The more I looked at my toy Runabout, the more it bothered me that it wasn't quite in scale with my starships. 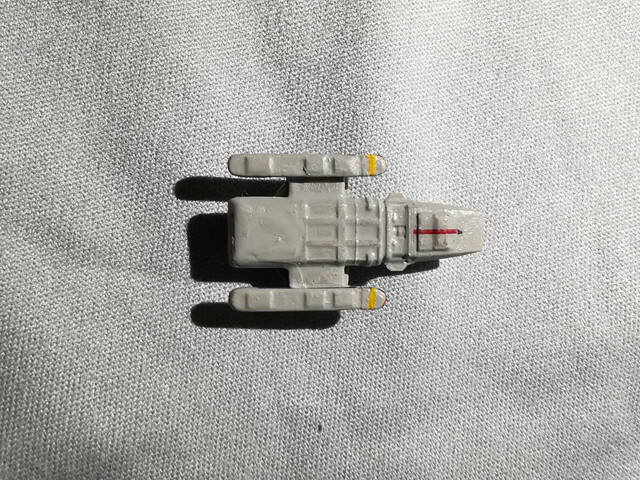 I found an eBay seller doing a 1:1400 version and thought how hard can it be? They were tiny. Much smaller than I expected. Sanding and painting was challenging simply because of the danger of sanding bits off or overspill. I'm glad they supplied 4 in the pack as I broke the first 3. 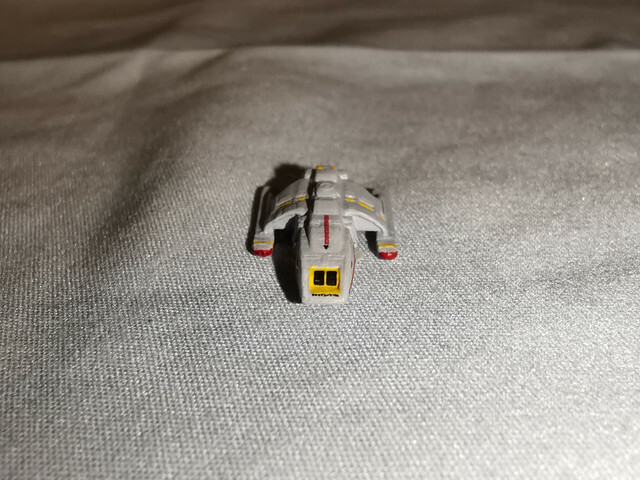 I used a needle to paint the bussard collectors, and a superfine brush for the yellow detail... Sadly even though it looks ok to the eye, at this magnification it seems rather shoddy. It was a great excuse to test out the macro mode on my new phone however. The decals were surprisingly easy and went straight on with no issues. None split or distorted. They put ones from larger kits to shame. Finally ready to fit in the shuttle bay! All in all, a fiddly but enjoyable build for a few days off work. That is a sweet piece or work. Also insane. Now this is a level of insanity I can get on board with. Good luck with yours, looking good so far. Aztecing must be truely insane. 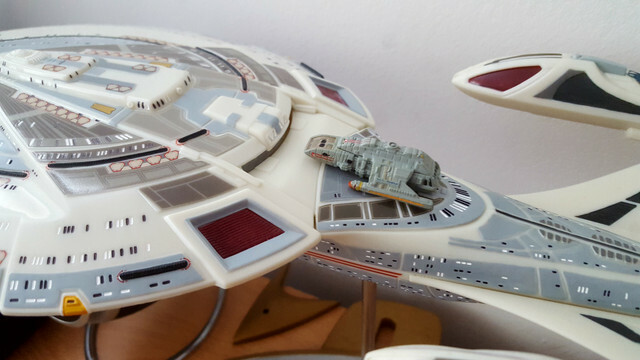 Actually not nearly so bad as you'd think; for instance the entire saucer top is a single (still small) decal. 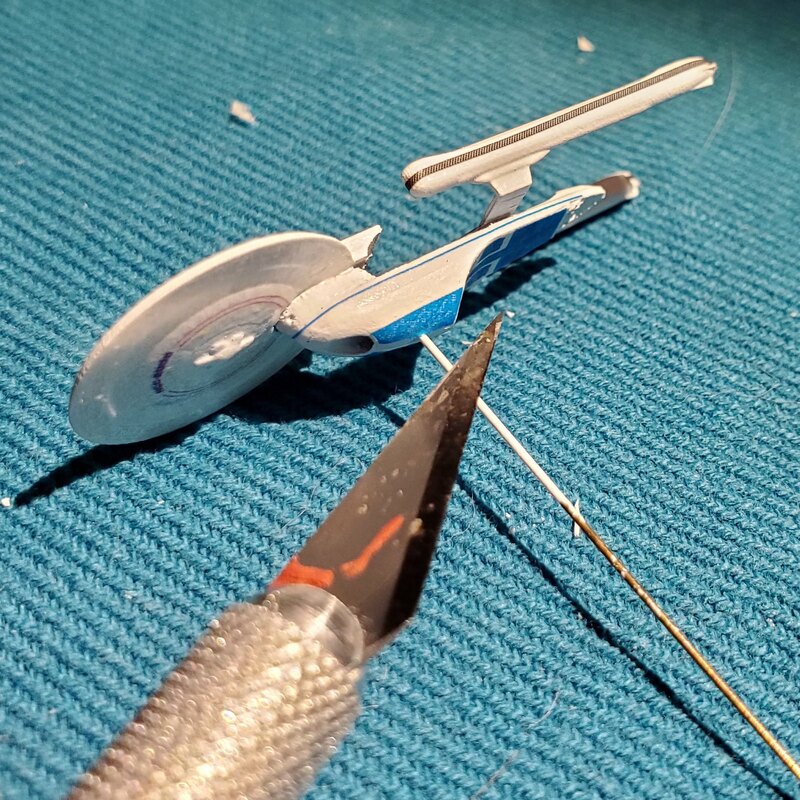 This is it - I feel like in some ways tiny decals are easier as they're less complicated and have less to go wrong. I found painting worked best by doing a tiny blob at a time rather than trying to do strokes.